As promised, this month I'm putting a greater emphasis on Black History Month. So far I've already read the "I have A Dream" speech to Jasmine and started reading The Blacker The Berry. Hopefully by next week I will have attempted to whip up a traditional African meal. However, for now, I would like to introduce you to three phenomenal African American women who have been instrumental in paving the road for ALL woman. These woman haven't really had the acknowledgement that they deserve, so I'm taking the time to spotlight their lives and achievements. Here are their incredible stories. More than likely you've all heard of Rosa Parks, but did you know that she wasn't the first African American to refuse to get up after sitting down in a "Whites only" section? Born into a financially stable family in 1826, Sara Remond was taught the value of a good education at an early age. After moving around a bit in an attempt to find a small town in which their eight children could thrive, the Remond's settled down in Salem and opened a successful catering, provisioning and hairdressing business. In 1835, after successfully passing the entrance exam to Salem High School, Sara and her sister were ultimately forced to leave within the week, due to the racist school board. Outraged at the treatment their daughters had been subjected to, the Remond's left Salem and moved to Rhode Island where they enrolled both of their daughters in an all black school. From here, Sara took more interest in activism and debate. 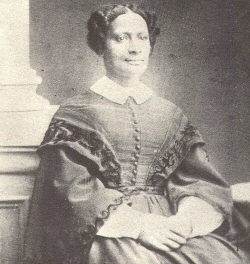 In 1853, during an Opera performance that she had purchased a ticket to attend, Sara was forcibly removed and pushed down a flight of stairs on claims that she was sitting in a "white's only" section. Sara eventually sued; and won, something that was not commonly achieved by black people during this period. As compensation for her embarrassment and injuries, Sara received $500, and although it did not cover her medical bills, it served as evidence that how she had been treated was wrong. Sara went on to become a lecturer and spent time in Britain where she combined her lecturing with studying French, Latin, English Literature, music and elocution. She spoke out about the inhuman treatment of slaves in the US, bringing some Britain's to tears. In 1861, Sara published a short autobiography in which she proclaimed "prejudice against colour has always been the one thing, above all others, which has cast its gigantic shadow over my whole life." She later became a physician, and ultimately served as a reminder that despite what others thought, African American women could be just as educated and cultivated if given the opportunity. 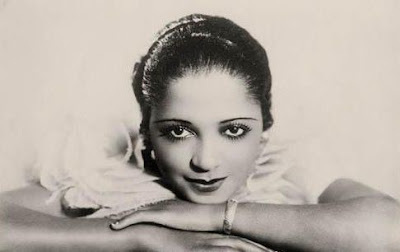 Nicknamed "Little Louis" by Louis Armstrong, Valaida Snow learned how to play a number of instruments as a child including: cello, bass, banjo, violin, mandolin, harp, accordion, clarinet, trumpet and saxophone. Along with her amazing ability to master a multitue of musical instrument, Snow also danced and sang. At the height of her career, Snow was playing concerts all throughout the US, China and Europe. During this time, she recorded the hit song "High hat, trumpet and Rhythm." She also began to take more of an interest in acting and began making films with her husband. In the 1930's Snows career really took off and she traveled international for filming and recording. While on tour in Denmark in 1941, Snow was arrested by the Nazi's and held in a Nazi run prison. Upon her release, Snow attempted to continue her career, but she never fully recovered from the abuse she suffered while in prison. In 1956, she died of a brain hemorrhage in the backstage of the Palace Theater. Snow served as a voice for the thousand of African Americans who were killed during the Holocaust. Despite having come from a poor, predominantly African American, neighborhood Jordan strove for excellence in her studies throughout high school and was accepted into Texas Southern University. After completing her degree at TSU, she went on to pursue her law degree at Boston University Law School. In 1966 Jordan used her extraordinarily orator skills to help win a seat in the Texas Legislature, making her the first African American to do so. 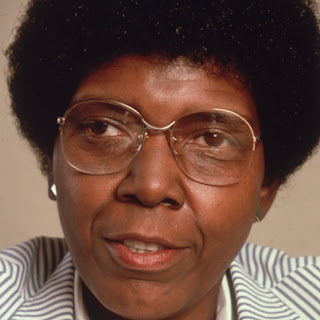 In 1979 Jordan once again stole the spotlight with her speech at the Democratic National Convention by proclaiming "My presence here...is one additional bit of evidence that the American dream need not forever be deferred." Sadly, Jordan developed multiple sclerosis, which eventually led to her leaving the political world behind. Still, what she managed to accomplish in the little time that she was in office was nothing short of spectacular. I really hope you guys enjoyed this brief look into the lives of these phenomenal women. Stay tuned for next week as I will be posting about 3 African American Men who have contributed greatly to this society, but have not received the recognition that deserve. Thanks for sharing! Very interesting individuals!! You're so welcome! I really enjoyed researching these ladies. I think I may actually end up doing this once a month from here on out. Thanks for reading! Great post. I am dealing with a few of these issues as well.